You’ve probably noticed by now our lovely new header, contributed by our Spring Featured Artist, Kathleen Tomasek. Please click on the Featured Artist tab above to read more about Kathleen and to see more of her artwork. 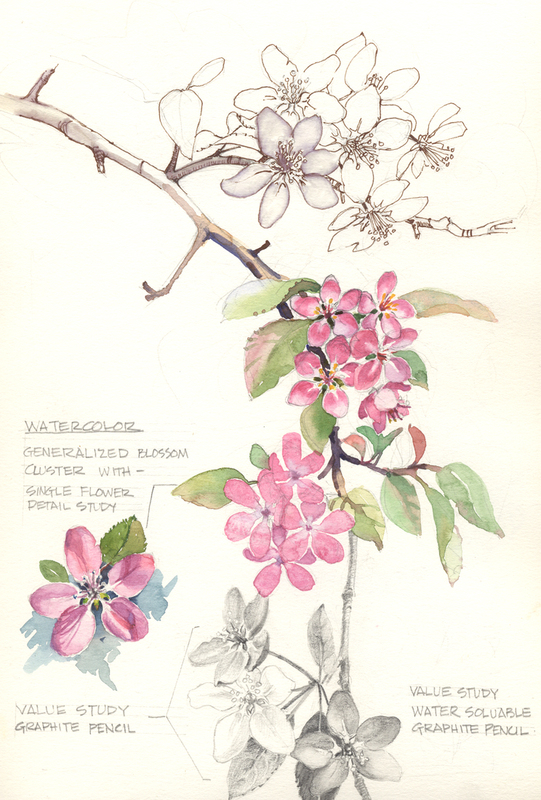 Don’t’ miss the Spring Exhibit of the Nature Artists’ Guild at The Morton Arboretum on April 9th and 10th, where you will see much more of Kathleen’s artwork as well as that of about fifty other members of the Nature Artists’ Guild! This entry was posted in Exhibition Dates & News, Member Artwork, Member News. Bookmark the permalink. ← Spring has Arrived at the Canterbury Shoppe! The poster is beautiful! And I love that it is a study – sometimes I think that studies are even more interesting than the finished artwork.